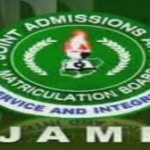 (AFRICAN EXAMINER) – The Joint Admission and Registration Board (JAMB) still has a big task before it and long way to go in edging out the ‘bad eggs’ among its stakeholders. Despite its latest action – de-listing of 14 out of 712 accredited Computer Based Test (CBT) centers, due to alleged misconduct, there are still some centers which standard fall below expectation and this may affect the outcome of candidates’ results. 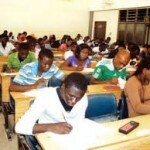 On Monday, April 1, JAMB conducted its 2019 mock test for 157,000 candidates across the country. While updating newsmen, after monitoring the exercise with the Minister of Education, Adamu Adamu in Abuja, the board’s Chief Executive/Registrar, Prof. Ishaq Oloyede announced that the examination body has de-listed 14 centers, due to ‘’infractions such as technical hitch and deceit’’. The disclosure by the JAMB’s head in one hand was in order. However, one critical aspect of his announcement that is begging for answer is the details – names and locations of the affected CBT centers. The allegation of breaches against the centers is a serious one, which should not be handled with levity. Already, the de-listing has caused the body a setback. This is evident in its inability to commence the posting of candidates’ examination schedule slip from Tuesday, April 2, 2019 as announced earlier. The process, according to the Board’s Head, (Media and Information), Dr. Fabian Benjamin has now been shifted to Thursday, April 4. AFRICAN EXAMINER monitored the mock test and learnt about many severe lapses in one of the accredited CBT centers in Lagos State. The center – Tmes On Kairos Educational and Vocational Institute is located in old Oko Oba in Agege Local Government area of the State, (Super/Cele Bus stop) along Lagos-Abeokuta expressway. In spite of arriving very early at the center, some of the frustrated candidates after the test confirmed to AFRICAN EXAMINER that the exercise expected to have commenced at 9.00am was delayed till around 10.48am. Although, check by our Correspondent revealed that candidates in most of the centers in Lagos metropolis started the test by 10.00am. The candidates lamented that their experience with respect to power supply at the center was the most shocking and embarrassing. They complained that it took the officials of the center some hours to buy fuel and put on the generator to power the systems. However, the delayed power according to the candidates was interrupted more than 10 times. They (candidates) bemoaned that the two hours test which ordinarily supposed to stop at 12noon (from 10am) was extended till 3pm – meaning that they spent an average of five hours due to persistent power failure. In fact, some of the candidates who also groused over shabby treatment recalled that at a point, one of the officials was heard reminding his colleagues that the way they were going, they might not likely meet up as the JAMB server would soon be closed, As at then, the candidates were struggling to get through with the test. Eventually, some of them managed to attempt all the questions and submitted successfully. Among the standards JAMB uses to accredit its CBT centers are installation of CCTV at the strategic places and use of metal scanner on every candidate before being allowed into the examination hall. Investigations showed that Time On Kairos has these gadgets, but they are not functioning effectively. One of the candidates who wrote his mock at the center on Monday confirmed to our Correspondent that the metal scanner failed to work in between the time he waited and shortly after he was allowed in. He alleged it worked only on few candidates. To worsen the matter, the candidates said the officials who confirmed the poor state of the scanner later resulted to manual checking – by pressing their bodies and warning them that no one should go inside with cash. Another candidate told AFRICAN EXAMINER that while she was inside the hall, she sighted only two CCTVs installed at a corner. She disclosed this was against her expectation that more points will be installed with the recording machine. The expectation is that only the candidates who registered for the mock test will be allowed to pay the approved N700 charge by the privately-owned CBT centers. Upon this, they will conduct biometric check and if successful, will be allowed to access the examination hall. Still, what happened at this center on Monday contradicted the laid down rules. The candidates confirmed to AFRICAN EXAMINER that there were incidents of candidates who did not register for mock, yet, came to the center, made to pay and had failed biometric check. However, what they could not confirm was whether the money they paid was refunded later or not. If the rule is to be strictly followed, these candidates (who did not register) for the mock test were not expected to be accommodated in the first place. The candidates also narrated their experience on shabby and inhuman treatment meted to them before the Monday test began. They alleged that while the officials scurried around to get fuel and on the generator, they were kept inside the hall for hours without light and ventilation. They alleged that the room was very stuffy and despite the traumatizing experience, the officials did not allow them outside, even to visit the ‘convenience’ or take water. However, after the delayed test, the candidates said bags of sachet water were made available for them to drink. Following the allegations, AFRICAN EXAMINER conducted further check by looking for JAMB candidates who have at one time or the other had visited the center either for registration or writing of UTME. Two candidates who craved for anonymity and registered at the center in February for 2019 UTME attested to poor organization; Irregular power and network failure at the center. Again, another candidate who did not want her name to be mentioned in print told our Correspondent that she wrote her 2017 UTME at the center. She corroborated complaint on poor network and power supply. Unlike the appalling experience at the Time on Kairos, the situation at other centers AFRICAN EXAMINER check confirmed was smooth. Except late commencement, the experience at the Lagooz CBT center in Agege Local Government area; White Hall School, Fagba in Ifako/Ijaiye LGA and Datforte International School in Alimosho LG area was pleasant. A parent, Mr. Kola Olusanya confirmed to AFRICAN EXAMINER that he and her daughter left their new Oko Oba residence as early as 7.30am on Monday and arrived at Datforte before 8am. Apart from the fact that the test started late, Mr. Olusanya confirmed that every other thing was fine at his daughter’s center. Similarly, a candidate identified herself as Mosidah Shittu who wrote her mock at the White Hall, confirmed that aside the slight hitch that followed the wrong print out she took from the house, the test went well in her center. She explained that she had earlier taken her JAMB examination profile notification slip instead of mock test slip. The candidate disclosed that she sorted out the confusion at a nearby café, after which she was allowed to do her pre-test check and got pass to the hall. Efforts by our Correspondent to hear from the officials of the Time on Kairos on the alleged challenges did not yield result. The staff declined and claimed that the person with the authority to speak with the press was not around. When demanded for the officer’s contact number, the officers refused to oblige. The unpleasant experience at the center has made some of the candidates to be gripped by fear of being reposted to the place for the JAMB UTME proper. They lamented that they were not really sure if the center would have made any significant improvement to many of its deficiencies ahead of the examination which will commence next Thursday, April 11 and end Monday, April 15, 2019 nationwide. As the 2019 UTME draws nearer, the questions are: will centers like Time on Kairos with its persistent history of poor service be accommodated by JAMB? Won’t the alleged pitiable service at the center negatively impact on the performance of candidates scheduled to write their examination there? Can the JAMB publish the names of the de-listed CBT centers? In case the center is not among the affected, the JAMB must carry out its independent investigation in order to confirm the alleged irregularities at the center and take necessary steps in line with the reformative drive by the current Leadership of the board before the year’s examination takes off.